ShowTime is no longer supported. This page exists for archival purposes only. ShowTime, agricultural show entry management software for Microsoft Windows computers, is now in its second version, and was designed to streamline the entry, prize winnings and record-keeping process while keeping ease of use at the forefront. ShowTime allows you to keep track of Classes, Sections, Trophies, Prize Money, Point Scores, and more. You can even use ShowTime to print your prize certificates! ShowTime has been in use for five years now, so you can be sure that it stands up in a real event situation. However, for your ease of mind, we've decided to give you a free 7 day trial to ensure that the software is right for you before you decide to purchase. 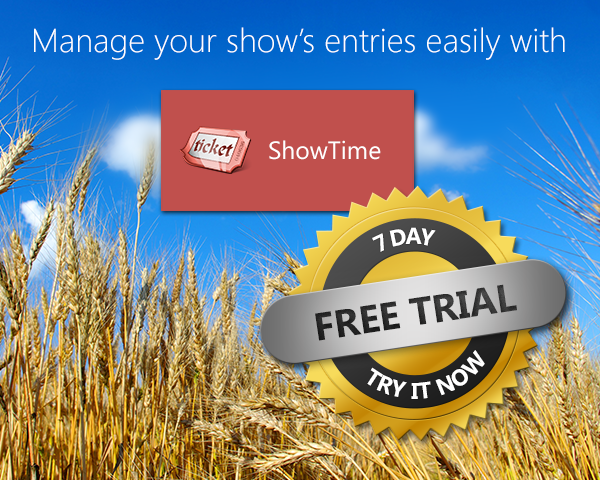 Try ShowTime free for 7 days - no risk, no penalty. Also download our User Guide which details the features of ShowTime. We've made up a whole event's worth of sample data that you can import into ShowTime to get a good idea of how the program works. You'll get a Serial Key emailed to you immediately, which you can use to convert the trial version of ShowTime to the full version. It's as simple as that! You'll get a copy of ShowTime on disc, as well as a printed copy of the User Guide with your Serial Key inside the package. You won't get a Serial Key emailed to you straight away. You'll get a Serial Key emailed to you so you can start using the digital version by converting your trial immediately, and a physical ShowTime disc and printed User Guide mailed to you later. Because ShowTime can only be activated on one computer at a time, you can purchase an extra Serial Key to activate another computer. Note: You must have already purchased ShowTime. Proof of purchase required. 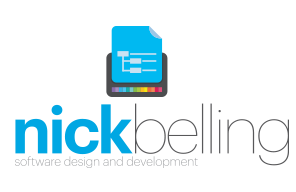 If you have any questions or enquiries, please email them to enquiries@nickbelling.com. We will endeavour to get back to you within two business days.